When a church faces a change of leadership, it is prodded to ask important questions about its identity and mission. To determine the pastor it needs, it needs first to know the sort of church it is and the church it wants to be into the future. In times of change the local church is reminded just how key leadership is to its mission. Institutions of theological education are no different. When a seminary or college faces a change of leadership, it’s time again to ask the hard questions: What is the purpose of theological education within the wider community of churches? What is God calling this institution to do and be into the future? These are questions my own denominational college is facing right now. As the retirement of Whitley College’s current principal looms, the prospect of new leadership prods all those with a vested interest in its mission to voice their hopes and express their concerns. And so they should. Addressing these questions is a complicated business. A college’s constituencies are as diverse as the expectations they bring. There’s the denominational structure in which the college sits and was founded to serve. There are the local churches that demand well-trained pastors. There are the agencies of the denomination and the wider community that require people skilled for a diversity of cross cultural and intercultural work. There is the academy of higher education to which the college belongs and is dependent for its ability to provide reputable degrees and quality research programs. And there are the lay people in churches looking for a place to discern their vocation, work out their discipleship, or wrestle with persistent questions of faith. In all of this, theological colleges face their share of criticism. Whitley certainly has, and with a particular intensity this past year. There’s nothing new in that. I have been a student in three denominational colleges here in Australia and in one of the largest evangelical seminaries in the US. What’s more, over the past two decades I have taught in and been associated with many more. And in all of these, no matter where they sit on the theological spectrum, the criticisms are much the same: the perception that these institutions are removed from the hands-on mission of the church, of professors disengaged from the needs of practitioners in the field, allegations of theological compromise, and of a creeping disregard for the orthodox teachings of the Christian faith. In my experience, criticisms like these often hold a kernel of truth mixed with a good dose of ignorance and hyperbole. Too often such criticisms are leveled by those who have never sat in a class, never pursued a sustained conversation with a teacher, and never read anything of substance written by those they deride. Sadly though, when mud is thrown it sticks, deserved or not. That said, theological colleges deserve critique — intelligent critique. In fact, they need it, especially from those sympathetic to their mission. As pastor of a church, I know too well that theological teachers can be their own worst enemy in communicating with churches and in addressing the needs felt most deeply by those who lead them. Though I want to be stretched in my thinking and practice, I, for one, and sick to death of having theological ‘experts’ list everything that is wrong with ‘the church’ without ever asking an intelligent question about the neighbourhood I inhabit or the particular challenges my congregation and I face. In my view, theological colleges are at their best when they embrace their ministry as two fold: priestly and prophetic. As a priestly community, the theological college is one that nurtures and enables the local church. It is concerned for the church’s wellbeing and for the enrichment of its people. As a priestly community, the college speaks directly into the deepest needs of the churches and their leaders – those felt and those unnamed. By listening to and engaging with the churches, it determines the best forms of training: training that nurtures leaders who understand the faith of the church; who rightly handle the scriptures as the revelation of the truth of God; who administer the church’s rites and rituals with excellence; who lead with competence and preach with conviction; who draw deeply on the spiritual resources of the faith; and who are able to provide the best possible expressions of pastoral care. If the theological college is failing in its priestly role, the churches have every right to call it to account. That said, the best theological college is more than a priestly community; it is a prophetic community. In my view, it is here that the more poorly understood responsibility of theological education lies. Theological educators must be prepared to stand on the sidelines of the church and call it to account. Like those pesky prophets of old, courageous theologians call the church to be different than what it is, a challenge to a radical transformation and a critique of the status quo. If the theological college is simply made in the image of the churches it is called to serve, it has failed to embrace its vocation. Even more, it has failed its churches. Prophets smell bad. They say things we do not want to hear and they press us to see things we struggle to see. If the theological college is not drawing criticism from denominational leaders and the churches of its tradition, chances are it stands on shallow ground. As we Baptists of Victoria launch into this period of discernment about our college’s future, I want to say publicly how very grateful I am for Whitley College. Though my beginning with Whitley as a reluctant undergraduate in theology was six shades of awkward, my thirty years of study, teaching and association with the college have been one of the most formative influences of my life. It is through Whitley that I discovered that Jesus’ call to discipleship is more far-reaching and all-embracing than I could ever have imagined. It is through Whitley that I learned to read the Bible as the life changing Word of God and to wrestle with its truth. It is through Whitley that I was invited to breathe again as a person of faith, open to a theology that’s alive, obligating, and wonderfully relevant to the world I inhabit. And it is largely because of Whitley that I remain a Baptist, actively engaged with and committed to our particular way of being the church and embodying the good news of Jesus. Whatever lies ahead for us, I pray that Whitley will remain a life-giving, life-interpreting and life-challenging community within our Baptist family. Terry Eagleton, Hope Without Optimism, Newhaven: Yale University Press, 2015, 34. I like certainty. When it comes to life’s detail, I don’t care for the open-ended. I prefer decisions made and plans settled. What’s more, I’m a sucker for those who speak with clarity and conviction. Why, then, do I react so strongly to a particular certainty in belief? Why do I resist those who claim a singular authority in religious faith or political ideology? All tosh aside, he had a point. The truth of God in Christ is not up for grabs, not for me anyway. There is a certainty in the “assurance of things hoped for, the conviction of things not seen” that sits beneath me in ministry. But this certainty is never one that precludes the possibility of questions left hanging or of truth discerned in unexpected places. There is a brand of certainty alive today that renders everything black or white. It’s a certainty that repels doubt and, most tragically, refuses to listen. It’s as though all questions have simple answers and, once answered, cease to be questions. In my experience, though, there are questions of faith that never get answered, not completely. Besides, I’ve always thought questions worth having are worth keeping. I feel the same. When there’s no place for the possibility of error, negotiation or compromise, what’s left is scary: I know and you don’t; I’m right and you’re wrong. I must be what Patrick Henry labels an ironic Christian; one who has an “abiding suspicion of no-loose-ends answers.” I do have this instinctive sense, and a lifetime’s experience to back it up, that life is always more complex than straightforward, more nuanced than obvious, more fraught than simple. What’s more, there is something compelling about the virtues of gentleness and humility that speak with a certainty all their own. Patrick Henry, The Ironic Christian’s Companion: Finding the Marks of God’s Grace in the World, Riverhead Books, 1999. Though I am no longer teaching theology as a full-time profession, I still do a bit here and there, most often in the field of what’s called practical theology. Though it’s an arena of learning I feel passionate about, I realise it’s an enthusiasm not commonly shared! There are those for whom the mere sound of the word theology spells boredom. To these people, the term practical theology is an oxymoron. What on earth could be practical about theology? Then there are those invested in theology who dislike the addition of the word ‘practical’. For them, this unfortunate designation to one particular field of theology is an insult to all other fields of supposedly ‘impractical’ theological inquiry—systematic, biblical and historical to name three. Still others judge practical theology a sort of second-rung theology, entirely derivative in nature and perhaps best for those who don’t have the mind for more intellectually rigorous and foundational pursuits. From this perspective, practical theology is simply the application of pre-determined theological truth to a particular context or challenge. The first response is, at best, unfortunate. That people view theology in such a dismissive way is based on a sad misunderstanding of what it is. Importantly, it calls those of us who teach theology to do so in more accessible and life-connected ways. The second response is justified … mostly. Indeed, all theology is practical, or should be. The trouble is, it’s not. In my view, theology has often been its own worst enemy, unable to surface long enough from its own internal speculative quandaries to even notice its personal, social and political contexts. But it’s the third response that most gets up my nose. 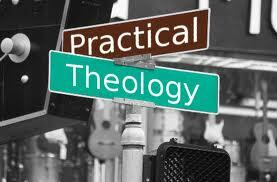 Practical theology is not derivative theology. It’s not even applied theology. The designation practical theology gets at the heart of what the best theology really is. 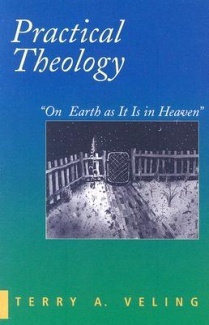 It’s this that I appreciate most about Terry Veling’s wonderful book Practical Theology: ‘On Earth as It Is in Heaven’. 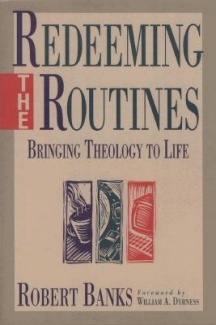 According to Veling, the discipline, at its best, reclaims the ‘reintegration of theology into the weave and fabric of human living, in which theology becomes a practice or a way of life.’ For Veling, practical theology is ‘less a thing to be defined than it is an activity to be done.’ It is the practice of theology, not a pre-packaged box of propositions, but a theology discerned and known in the midst of the encounters and experiences of daily life. This jells so much with my own experience. For me, the life-giving nature of theology has never been in its provision of a speculative and grand system of thought through which every situation of life can be interpreted. Rather, it’s about a way of knowing and understanding that flows out of and into experience—mine, yours, ours. For that reason, theology has always been for me more fluid than solid, more open than settled, more pervasive than undergirding. Perhaps this begins to get at why I feel so much at home in practical theology. For in it, I’ve found a way of doing theology that arises directly out of the most pressing, immediate, and deeply felt challenges of my life and the life of those around me. What’s more, it gives these challenges and experiences an authoritative voice that pre-determined, pre-packaged truth can never allow. I was black-banned. Well, my course was. It was when I was teaching at Macquarie University. One of the Christian groups on campus—the largest one—ruled that my unit on ‘spirituality in everyday life’ was a dangerous dalliance with the devil. They actively dissuaded all self-respecting, Bible-believing Christians from enrolling. Granted, their beef was less with me than it was with the danger of any spirituality existing beyond the strictly patrolled borders of the Christian faith. It’s certainly true that some in the more conservative corners of the church view any talk of spirituality a sure sign of theological syncretism. They conclude that the popular New Age fascination with the word renders it so woolly as to be dangerous and better left alone. I disagree. In my view, far better that we take our place at the table of popular conversation, no matter how broad—ensuring that a biblical perspective is heard—than to hive off on our own and to have a theological conversation with nobody but ourselves. According to its origins, spirituality is a fundamentally Christian word and one we should never relinquish. That said, I agree that caution in our conversation is in order, but not a caution motivated by a fear of syncretism. In fact, there is simply too much to be gained from open, rigorous dialogue with other traditions that have shaped entire cultures just a profoundly as Christianity has shaped ours. Appropriate caution is motivated by a wariness of contemporary forms of spirituality so de-sacralized and self-serving as to be nothing more than lifestyle accessories. It’s here that spirituality is ultimately cheapened. 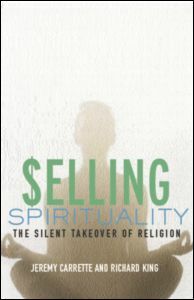 According to Carrette and King, what flourishes today is capitalist spirituality; one that ultimately serves the profit margins of the corporation; one that has so sedated us that we are no longer able to critique its underlying motivations. They note two developments as key: firstly, as a consequence of the European Enlightenment religion has been privatised, excluded from the public domains of politics, economics and science; secondly, from the late 20th century religion has been progressively commodified, that is ‘the buildings, ideas and claims to authenticity’ of traditional religions have been sold off in service of corporate profit and in the promotion of a particular worldview that serves the ends of the corporation. This is seen no more clearly than in the popular adaptation of spirituality in the workplace. In a culture fixated with self-preservation and self-actualisation, we are called to account by Jesus’ words, ‘deny yourself, take up your cross and follow me.’ Jesus describes the essence of spirituality as loving God with heart, soul, mind and strength and loving the neighbour as yourself. Ultimately, spirituality within any of the great traditions has far less to do with self-realization and everything to do with self-giving. If spirituality, whatever forms it takes, does not ultimately lead us into deeper expressions of community, interdependence and surrender to the call and values of God, then it’s a fraud. 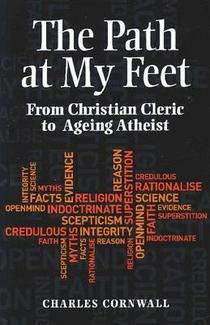 With the subtitle From Christian Cleric to Ageing Atheist, Charles Cornwall’s The Path at My Feet had me intrigued the moment I saw it. When I discovered Cornwall was a fellow Baptist minister who, disillusioned by faith, resigned his ordination in a neighbouring state and walked away from the church, I pulled out the credit card. Here was a ‘brother’ in more ways than one and this was a story I wanted to hear. I imagined an honest account of doubt and struggle–the slow and painful road from certainty to emptiness, from the known to the entirely unknown. God knows, I’ve struggled enough myself. Here was the story of someone courageous enough to let those uncertainties speak and to follow their lead, intelligently and reflectively. Even better, to let me listen in. I really wanted to like this book, but I didn’t. In fact, just pages in I felt gypped. In the introduction, Cornwall’s writes of his ‘defection’ from Baptist ministry. It was the first yellow light. According to my dictionary, defection is ‘the desertion of one’s country or cause in favour of an opposing one.’ Cornwall’s story is really the desertion of one brand of fundamentalism for another. There is no desert place in-between, just a decisive step from darkness to light, from the ‘sanctimonious cant’ of Christian faith to the glorious liberty of reason. Cornwall divides his book into two parts. 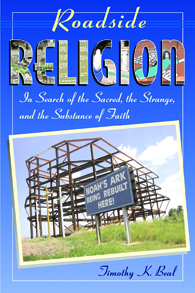 Part One is his story told in five brief chapters: family, indoctrination, conversion, reverend, atheist. It’s honest enough and at times quite moving, but the biting sarcasm that pervades his assessment of his own experiences and feelings and those of others is deeply frustrating, even jarring. The lack of nuance or sustained self-reflection feels almost sad. Part Two, by far the larger part of the book, is a collection of 15 essays, most originally published in the Australian Atheist. To be perfectly honest, the book would be better without them. Had Cornwall been able to stay with his narrative and not surrender the worth of his own story to poorly argued propaganda for an alternative literalism, this could have been a very challenging book. But it’s not. What is most irritating is that Cornwall sets himself up as someone with insider knowledge, one who, because of his theological studies for ministry, is one of the few who has actually read the bible, studied it and is prepared to name it for what it is: an ancient ‘nonsense’ so full of ‘ambiguities, self-contradictions, absurdities, unscientific nonsense and historical inaccuracies’ that it’s next to worthless. His inference is that while many of those still within the church know it too, they are not prepared to tell. I don’t mind a serious critique of the bible. There are some powerful and persuasive ones around and I’ve read many of them. But Cornwall’s critique is, sadly, so one-dimensional–an almost kindergarten understanding of ancient literature and sacred texts–that it makes you wince. Cornwall contends that there are two types of Christians (just two! ), those who take the bible literally and those who don’t. To the non-literalists he asks, ‘if Adam and Eve, Jonah and the whale, Jesus walking on water and Jesus turning water into wine are not meant to be taken literally, what about other similarly incredible stories like the virgin birth and the resurrection? Eliminate these on the grounds of consistency and the whole edifice of Christian dogma collapses in a heap of rubble — just like the walls of Jericho.’ It’s this simplistic logic that pervades Cornwall’s essays. So much so, he begins to read like a proponent of creation science: if God didn’t create the world in a literal seven days then our entire faith is bankrupt. Really? It is telling that in his 195 pages, Cornwall only references other atheists to make his argument. Oh, and Jerry Falwell to illustrate the counter view! To be honest, I come away feeling as though Cornwall is still so very angry at this God he doesn’t believe in that he might have well have been wise to find some resolution for his anger before putting pen to paper. I don’t mean to be dismissive of Cornwall’s story. Actually, I would genuinely like to hear more of it. It’s the long, repetitive and poorly researched and argued sermon that follows that I could do without. Cornwall concludes his book with some good advice: ‘Think for yourself. Don’t be a sheep brain and – to mix farmyard animal metaphors – don’t let yourself be led by the nose about what to believe. … Investigate widely. Keep an open mind’ and ‘finally, don’t be arrogant about the way you hold your beliefs.’ I really wanted to like this book, to be moved and challenged by it. Perhaps if Cornwall had taken his own advice, I might have been. 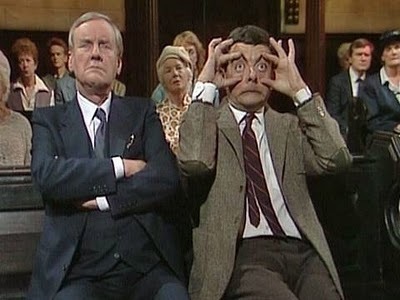 Theology: it’s a ‘yawn’ word … makes even the most religious feel a sudden and overwhelming weariness. 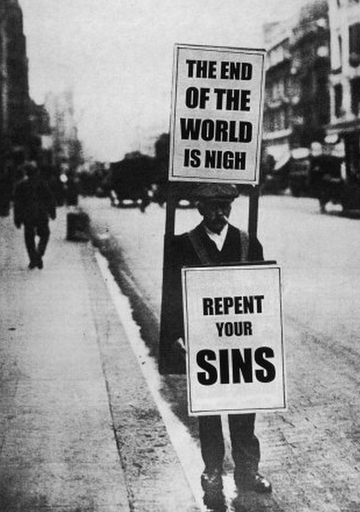 Drop the T word in a sermon and you might as well announce the benediction there and then. So what is it about theology that sees the faithful reaching for their pillows? Granted, part of the problem has to do with perception, or misperception: that theology is an obsession with obscure religious theory completely disconnected from the hands-on concerns of real life. It is the lot of the poor theologian to constantly redress this misunderstanding if he or she is ever to find an audience beyond the library. It’s a vocational cross to bear. Another part of the problem, however, is not with perception but reality. In other words, this common aversion to its existence is theology’s own fault. Too often theologians get so lost in their own speculative world that they themselves cannot make the connections necessary for theology to be heard let alone listened to. I have to say, my own reading of today’s theology is of a much more responsive, practically oriented and publicly engaged sort than has been the case in the past. 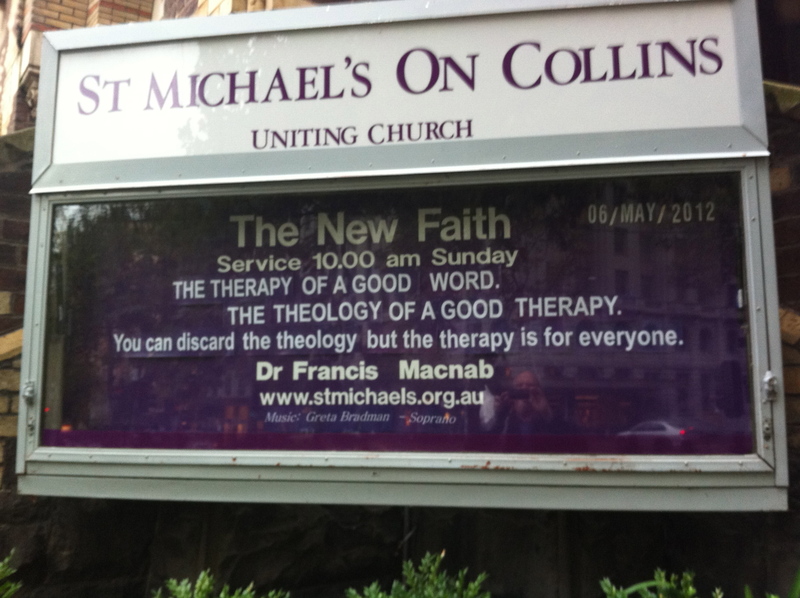 Certainly in my own sub-discipline–commonly known as ‘practical theology’–this is true. The trouble is, even the most practical theology can be remarkably impractical—offering critically insightful analyses and inspiring new paradigms but nothing more. At the end of the day we are intrigued but none the wiser. When it comes to practice, perhaps theologians–perhaps all of us–struggle to get particular because to do so scrapes too closely to the bone. Theorizing about a theology of consumerism is one thing, but making practical revelations about the way I spend my money … well, that’s my business. Let’s get back to theology!